Mountain Mist white tea is Vietnamese tea from tea shop Hatvala, made from wild tea bushes, hand-picked and full of unique wild character. 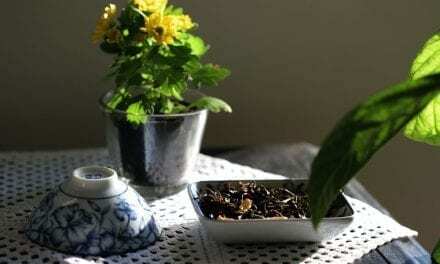 It’s time to review the first Vietnamese tea on my blog. I was really interested what kind of scent and flavor it has and I could barely stop myself from opening the bag too soon.I am always too impatient when I receive some new tea, and want to open all of them at once. 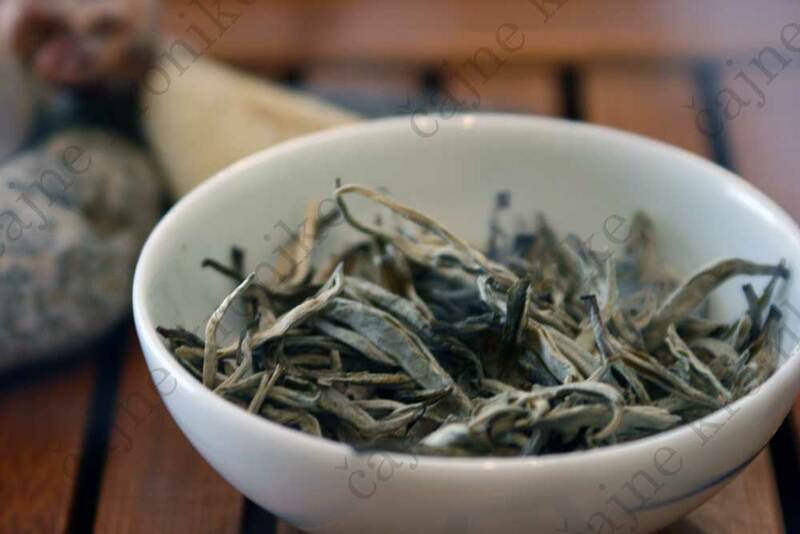 Mountain Mist white tea is one of the most expensive teas in Hatvala’s assortment – 50 grams costs 7.55 USD. (The only more expensive tea is green tea with lotus flowers). Exactly because of this reason I had really high expectations from this tea. If the others, super cheap ones, are so great, what kind of miracle could this one be? Of course, I was delighted as soon as I opened the bag. 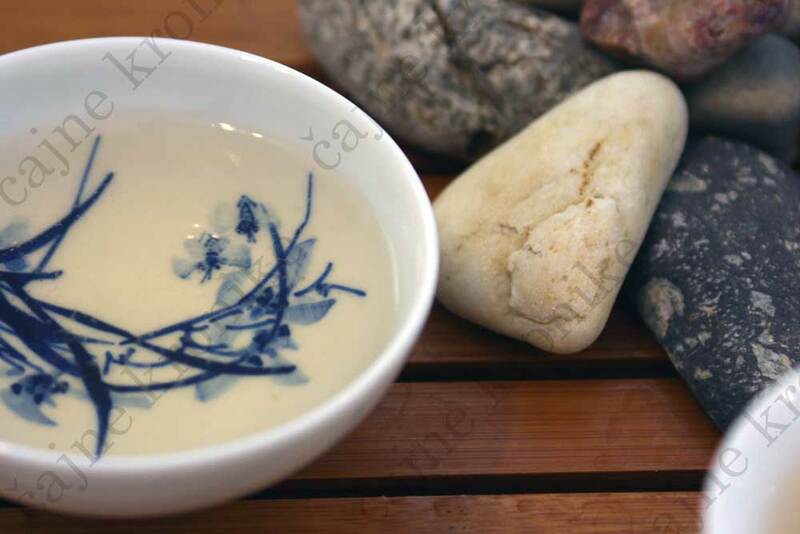 Mountain Mist white tea is actually Vietnamese Silver Needle, grown at the altitude of 1400 meters from wild tea bushes. The leaves are hand-picked, hand-processed and have a beautiful appearance and scent. 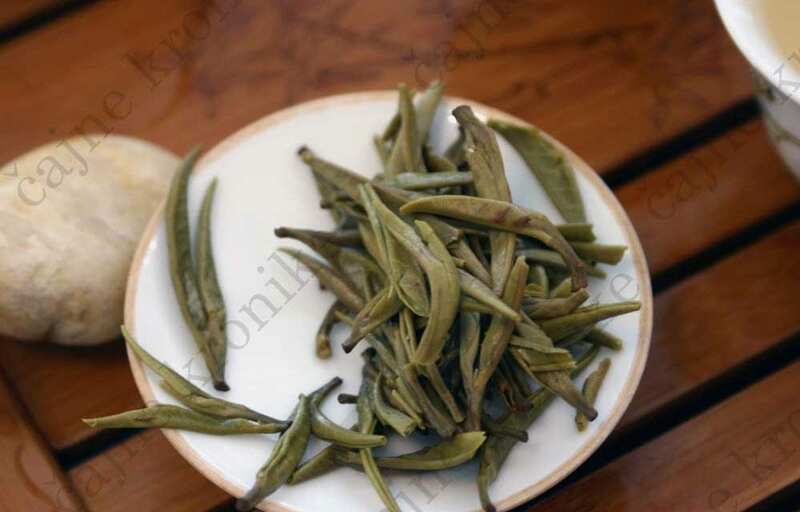 Tea leaves are beautiful, silvery white-green, full of white hairs and full and plump. They have a kind of wild look. The scent is intense, fresh, a bit hay like. Placed in a warmed teapot they get a special sweet and deep scent in addition to hay and fresh one. I have to admit that the photo cannot reflect the whole beauty of them. They are silky, long and big (some even up to 2.5 cm), almost perfect and unbroken, with perfect silvery shine. 4 grams of tea per 200ml of water, temperature around 80 degrees Celsius, long 2-3 minutes steepings. 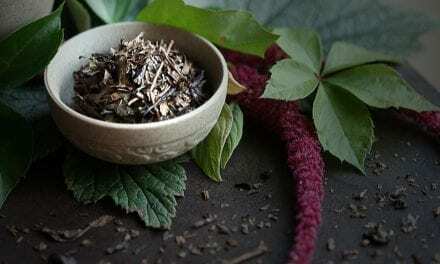 Hatvala recommends longs steepings for all of their teas, and they really do give the best result. After the first steeping, the scent of tea leaves incredibly reminds me of the combination of Chinese long jing and anji bai cha teas. Color is pale yellow. After the second steeping, this scent goes away and is replaced by the pure scent of white tea. Flavor is incredibly full and light, without a trace of bitterness, but it goes give a way some hidden underlying astringency which only deepens sweet aftertaste of this tea. Be careful how you brew this tea, longer steeping, too hot water or larger amount of tea leaves would probably result in a bitter tea. 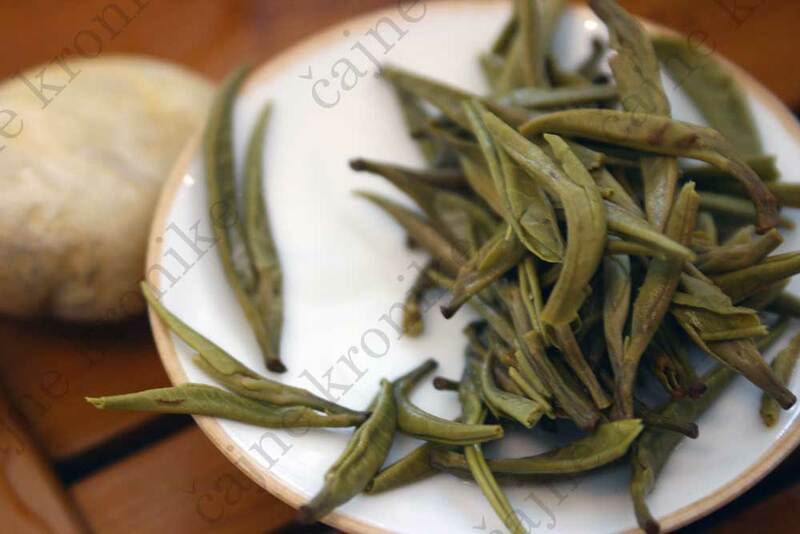 It’s amazing how all Hatvala’s descriptions match the first and true impression – hay, melon (yellow ribbed melon) and light subdued smokey flavor and the right words to describe this tea. The last fourth steeping is a bit too much for this tea, taking it over the line, however, it still does offer a lot of flavor. 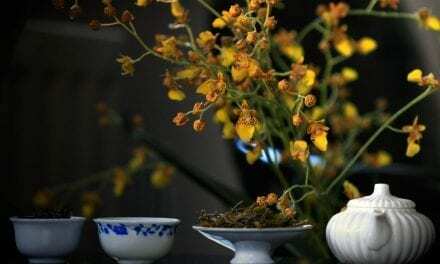 This tea has a special character, soul and a bit of wildness.It’s not one of those sophisticated teas, but it’s incredibly special, attracts your attention, leaves are beautiful, both dry and wet ones. Also, connection to other Hatvala’s green teas can be strongly felt. They all share this wild characteristic with a bit of subdued smokey aroma and uniqueness. 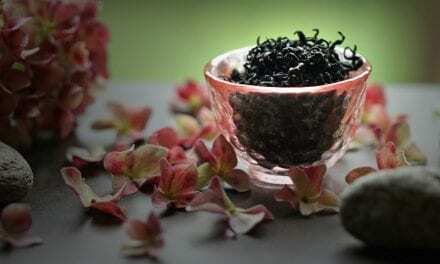 Hatvala is currently offering a 15% discount on selected teas. It’s difficult to imagine that these high quality teas could be cheaper.